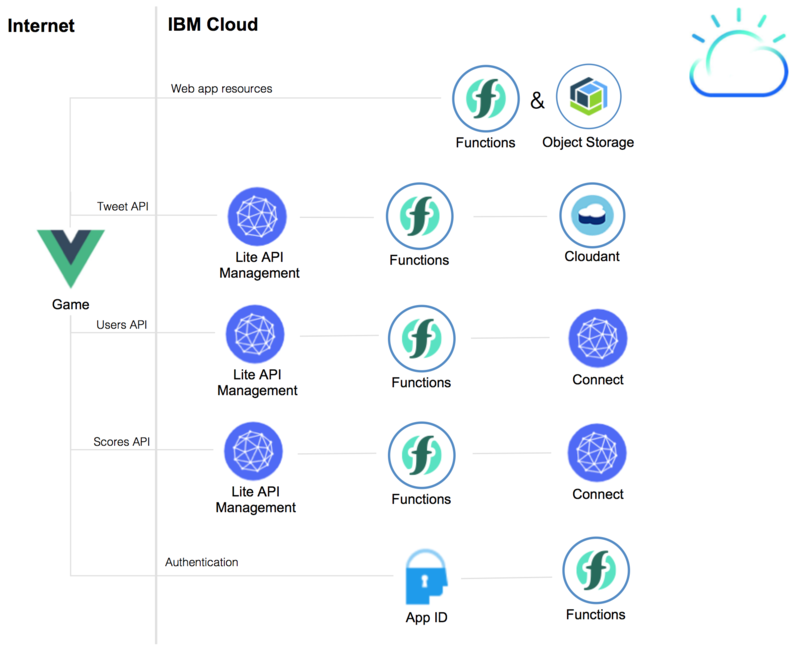 For the visual learners, take a look at these diagrams of the serverless technologies behind the user and score's services in the Blue Cloud Mirror game. Blue Cloud Mirror is a game where players need to show specific emotions and do specific poses. In this article, I describe briefly the technologies used. You can play the game online. All you need is a webcam and a Chrome browser. Score's service: Implemented via Cloud Foundry Enterprise Edition to highlight easy changes via the "cf push experience" (for example, theme adoptions for different conferences). Thomas, Harald and I have planned to write more articles about the different parts of the application. This article gives a high-level overview. The first diagram gives an overview of the key components. Note that there are two different versions per diagram. One version describes what we use in the GitHub project. 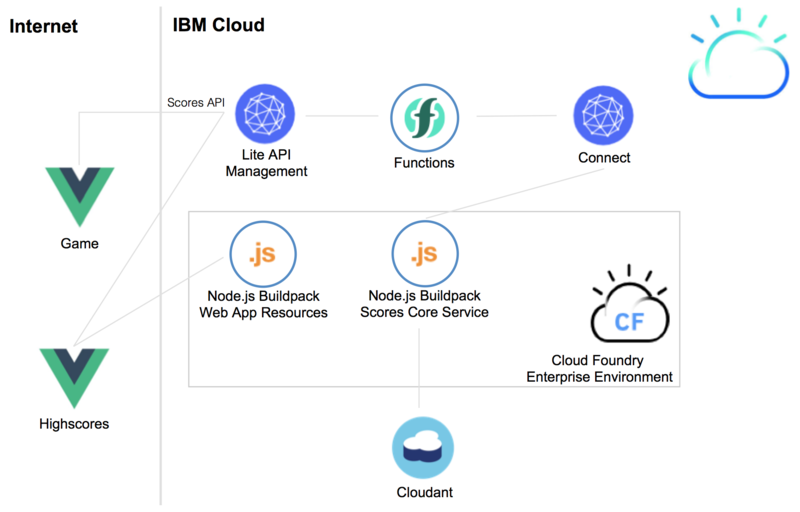 That version uses Minikube for the user's service and Cloud Foundry Public Applications for the score's service so that even IBM Cloud users with a free Lite account can run it. 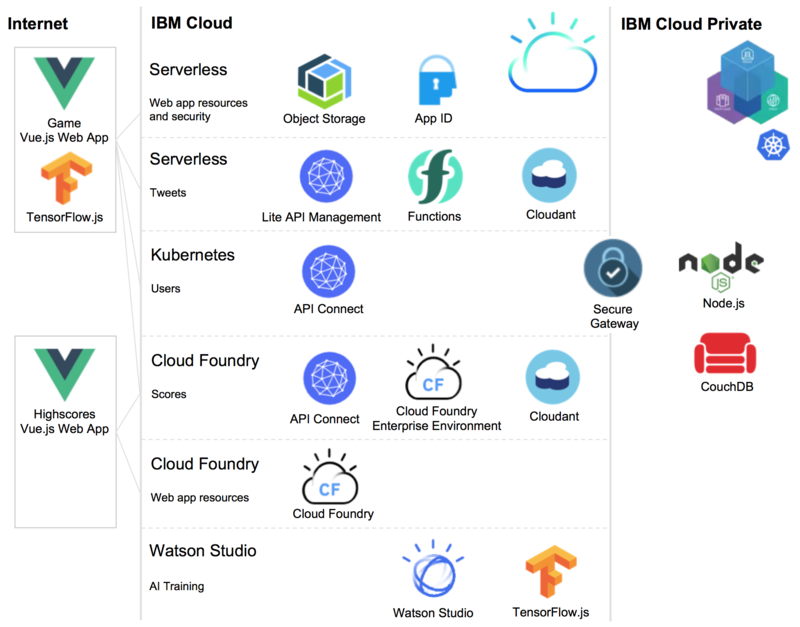 The other version uses the enterprise technologies IBM Cloud Private and Cloud Foundry Enterprise Environment. The next diagrams add more details about the three main parts. 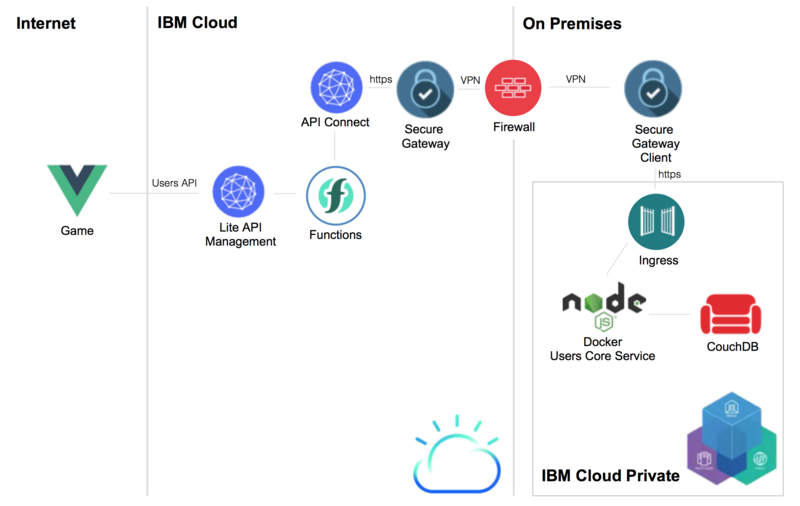 The core game is a serverless application hosted on the IBM Cloud via Cloud Object Storage and IBM Cloud Functions. The users, scores, and Twitter APIs are invoked via Lite API Management. With Lite API Management and App ID user authentication and authorization can be implemented. The score's service has been implemented via the Cloud Foundry Node.js buildpack. A second buildpack is used to host the web resources of the web application which displays the highscore list. The user's service has been implemented via Node.js running in Kubernetes. The data is stored in Apache CouchDB. The service can be invoked from the public cloud via Secure Gateway.